Sprains are one of the most common injuries treated by FastMed. They can have many causes, but usually result from a twist, fall, or sudden jolt to a joint, which damages the ligament—the tissue that holds two joints together. It is important to have your injury properly examined by the FastMed professionals to rule out other possible injuries, and to determine your best course of treatment. If a sprained ankle, knee, foot, arm, or other joint is suspected, your FastMed provider will check the area for bruising, swelling, pain, and stiffness. Your symptoms will determine the sprain grade. Whether you show symptoms of a sprained ankle, sprained arm, sprained foot, sprained wrist, or muscle sprain (actually a strained muscle), the FastMed team will provide the care you need for a quick recovery—and without the long wait or expense of an ER visit. 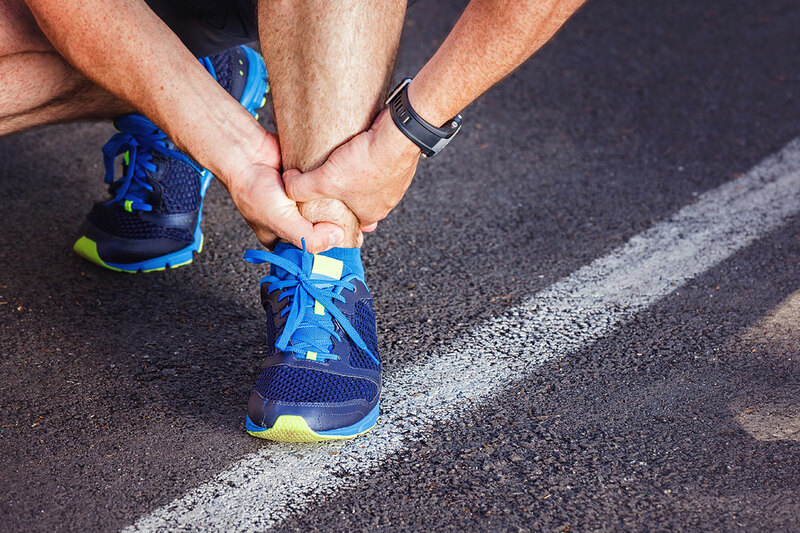 Learn more about sprained ankle symptoms, treatment, and recovery. Strains involve muscles and tendons, as opposed to ligaments. Treatment is the same. See the sprain treatment section. A fracture is simply a medical term for a broken bone. FastMed offers urgent care services for both adult and pediatric fractures. Whether your broken bone results from a sports injury or a slip in the shower, it is important to seek medical attention to ensure proper healing. The FastMed medical staff can determine the severity of your injury and offer appropriate treatment without the long wait and expense of visiting an ER. In fact, some FastMed locations have sports medicine specialists on staff, and all locations provide splinting services. Your FastMed provider will examine the area and review the X-rays. If a bone is broken, the provider will evaluate the type of fracture and recommend appropriate care and treatment. Although most people refer to broken bones by their placement—such as a broken hand, broken wrist, broken heel, or broken femur—there are also different types of fractures. Your FastMed provider may specify a broken bone as displaced or non-displaced, or open or closed. Displaced fractures result when bones break, and the pieces no longer line up. When a bone breaks into multiple pieces, it is considered a comminuted fracture. An open fracture is also called a compound fracture. This means that the bone is visible through the skin, and carries an increased risk of infection. Additional treatment is necessary to limit this risk. To ensure faster bone healing, your FastMed provider will categorize the fracture by type and recommend appropriate treatment. Proper bone healing requires immobilization of the affected area. In most cases, this will mean wearing a cast, sling, splint, and/or brace. It is essential to have a broken bone properly examined and diagnosed by the FastMed professionals. We will help your fracture heal smoothly.